Southlake, Texas. (May 2017) Kerr Central Appraisal District utilized a new financing program for the funding of their new facility. Using the new program designed by Government Capital Corporation, the District was able to save significant time and financial resources. The program, specifically designed for Appraisal Districts has several advantages when compared to more traditional forms of financing. First, an Appraisal District may finance 100% of their project’s cost. Second, the District’s borrowing power is enhanced by virtue of the twenty year fixed rate terms offered by the program. Third, the District saves substantial time and money on real estate financings in that property appraisals are not required and a title certificate may be utilized in lieu of a complete title policy. “Government Capital made the process smooth. They walked me through each step of the process and responded quickly to our questions and needs.” stated Mrs. Sharon Constantinides, Chief Appraiser. “I want to congratulate Mrs. Constantinides and the Board for their foresight and leadership with the upgraded facilities which will benefit the Appraisal District for many years,” stated Drew Whitington, Government Capital Corporation Client Manager. 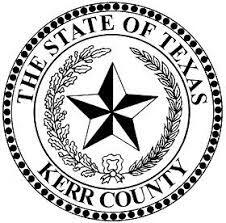 Kerr Central Appraisal District is responsible for appraising all real and business personal property for 18 taxing entities in Texas. The District encompasses an area greater than 1,100 square miles and approximately 39,000 properties.